Set to Ludwig Minkus’s mesmerizing score, inspired by Miguel de Cervantes' famous novel 'Don Quixote de la Mancha', and choreographed after the great Marius Petipa, 'Don Quixote' is a classic virtuoso ballet celebrating the dazzling love story of Kitri and Basilio through the journey of the ingenious nobleman Don Quixote in his quest to achieve great feats. Featuring some of Cambridge’s best dancing talents and a full cast of over 100 dancers from across the entire club, 'Don Quixote' promises to be one of the greatest highlights of the University’s calendar and a veritable festival of dance. Join us on 1-2 March for an evening of romance, chivalry and adventure! The Cambridge University Ballet Club participated in the University of Cambridge Philharmonic Orchestra's annual gala concert, THE UCPO performed Dvorak's Slavonic Dances (Op.46 No.1 and No.8, Op.72 No.2), Nielson's Flute Concerto, Ravel's hauntingly beautiful Pavane pour une infante défunt and Tchaikovsky's Nutcracker Suite (Op 71a: Danses caractéristiques), together with selected film music. This wonderful programme combined several much-loved ballet favourites with the passionate 4th Symphony from Tchaikovsky. The Cambridge University Ballet Club performed as the Orchestra played excerpts from these delightful pieces: Prokofiev Romeo and Juliet; Delibes Coppelia; Khachaturian Spartacus and Tchaikovsky Sleeping Beauty. We hosted a successful end-of-year Garden Party on 20 June with the committee and club members. Enjoying some foods and drinks generously contributed by our members and the warm summer​​ breeze on a beautiful afternoon, we celebrated a great year at the ballet club and bidder farewell to some of our graduating and departing members. Immediately following the garden party, we hosted a screening of our very own Swan Lake 2018 from last March at Churchill College with dancers cheering the wonderful performance of each other while occasionally laughing at themselves. Six advanced dancers of our ballet club, Jenny Tang, Joanna Lake, Ayeisha Vaze, Holly White, Karoline Oakes, and Panagiotis Boutris, performed their own choreographic works at the Jesus May Ball on 19 June this year. Several advanced dancers of our ballet club, Anya Melkina, Zining Mok, Frances Myatt, Joanna Lawrence, Panagiotis Boutris, Anastasia Stulova, and Martha Ophelia performed a mixed bill production inspired by the eponymous Ballet Russes in collaboration with some of Cambridge's very talented musicians on 6-7 May at Howard Theatre, Downing College. 2018 Production of our very own SWAN LAKE! The Ballet Club spent our Lent Term preparing for our performance of Swan Lake. One of the most popular ballets of all time, Swan Lake tells the story of the beautiful princess Odette who is turned into a swan by the evil sorcerer Rothbart’s wicked curse, so strong it can only be broken by the power of true love. Over 100 dancers from the Cambridge University Ballet Club have came together to choreograph and perform this four-part ballet. We successfully produced three sold-out performances on 2-3 March at West Road Concert Hall starring Emma Laister as Odette and Joanna Lawrence as Odile. 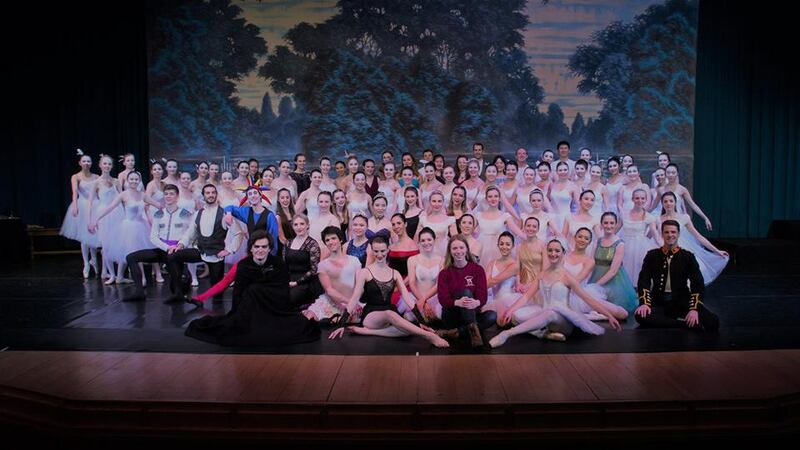 Congratulations to everyone for beautifully producing and performing arguably the most challenging ballet! Cambridge University Ballet Club was proud to present an interpretation of Giselle, possibly the most famous romantic ballet of all time, in February 2017. Set to Adolphe Adam’s mesmerizing score, this ballet tells the heartbreakingly beautiful story of the titular character, Giselle, a peasant girl who is driven to death by the betrayal of her lover, Albrecht. This was choreographed and performed by some of Cambridge’s top dancing talent, and featuring a full cast from across the entire Ballet Club, showing a tale of deceit, revenge, but most importantly, a love so strong it transcends death. Following the success of last year's event, the Ballet Club joined forces with the University of Cambridge Philharmonic Orchestra again for a festive evening of music and dance at their annual gala on December 3rd. Our dancers performed to exerpts from Tchaikovsky's Swan Lake, alongside other gorgeous movements performed by the orchestra. Congratulations to our ballet team for being placed second in the ballet category of the 'Get Down' dance competition at Royal Holloway on November 26th, alongside another 4 trophies won by the rest of the University Dance Team! On the 29th October we were joined by the Richard Alston Dance Company for three contemporary workshops, teaching both beginner and advanced dancers company technqiue and repetoire. This was a fantastic opportunity for dancers from different dance backgrounds to come together and learn from one of the UK’s most celebrated contemporary dance companies. We hope you all enjoyed it as much as we did! On Thursday 16th June 2016 the Ballet Club presented A Midsummer Night's Dream! This sold-out show starred original student choreography performed by some of Cambridge's best dancing talent. The dancing was accompanied by a live orchestra whose beautiful rendition of Mendelssohn's score ensured it was treat for the ears as well as the eyes. A huge well done to everyone involved! On Wednesday 15th June, six members of the ballet club performed at King's Affair, the alternative June event put on by King's College. Those queuing to enter the event were treated to an hour of dancing in the chapel, with the club's dancers accompanied by the Fourier String Quartet playing movements from various Mozart quartets. 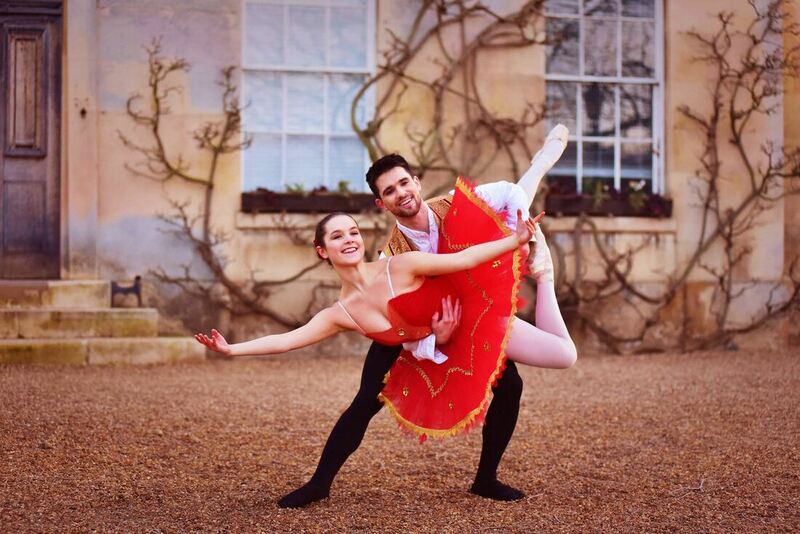 In the early hours of Tuesday 14th June, five dancers from the ballet club performed at Clare May Ball. They presented a selection of solos, duets and group dances to music from the ballet 'Sylvia'. Composed by the French composer Delibes, the music ensured that the performance fit perfectly with the Parisian theme of the area of the ball. Emma Cohen led this one-off, exciting contemporary ballet workshop on Saturday 14th May. Emma is a third-year history of art student from Haverford College in America, and has been studying at Pembroke College for the past two terms. She has been doing ballet since age three and has attended intensives at Boston Ballet, American Ballet Theater, and Complexions Contemporary Ballet. In grades 9-12 she performed as an apprentice with Elements Contemporary Ballet in Chicago, and has continued to dance with local ballet and contemporary choreographers while studying in Philadelphia. The class had the typical ballet format of barre and centre work, but with an emphasis on contemporary stylizations, artistry, and range of motion. Emma then taught a short piece of contemporary ballet repertoire. It was a fantastic opportunity to experiment with alternative forms of dance - a fun time was had by all! 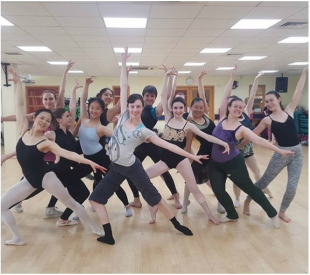 Our very own Helena taught pieces from the ballet "La Fille mal Gardee" on Saturday May 7th, including The Chicken Dance, a fun and comedic group number, and Lise's Solo, a bright yet elegant piece taken from one of the pas de deuxs. On February 25th and 26th, Cambridge University Ballet Club presented a new interpretation of Prokofiev's Romeo and Juliet to a packed theatre at West Road Concert Hall. Featuring nearly 100 dancers from across the club, this brand new production was completely composed of original choreography by the club's teachers and current Cambridge students, set to Prokofiev's beautiful score. Made globally famous by Shakespeare’s play, this is a tale that scarcely needs to be retold. From the tragic passion of the star-crossed lovers, to the haughty arrogance of their parents, from the side-splitting comedy provided by Mercutio and Juliet’s Nurse, to Tybalt’s swaggering sword fighting (yes, there was sword fighting! ), this was truly a ballet with something for everyone.